Tate Britain has released a series of posters to reconnect the public with famous art works in its gallery. The posters use long copy and typography to convey the story behind three famous paintings that hang in the gallery. 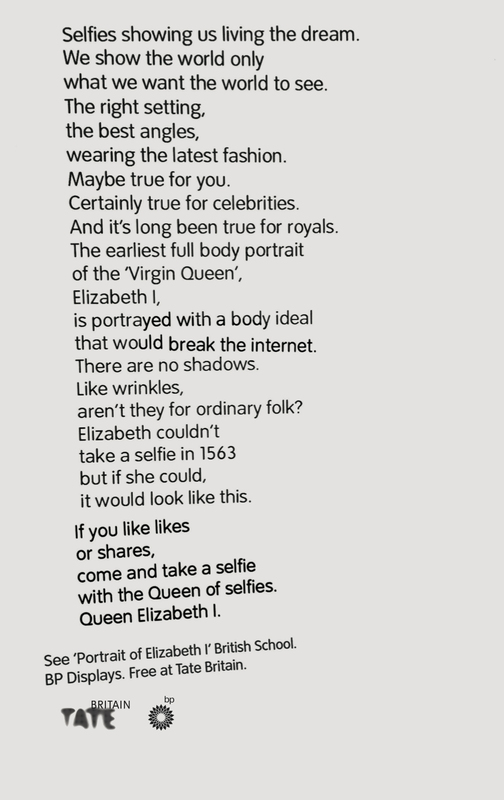 The first discusses the manipulation of public image, looking at the Portrait of Elizabeth I through the lens of today’s selfie culture. The second, which relates to Francis Bacon’s 1972 Triptych, looks at the torture of obsessive love. 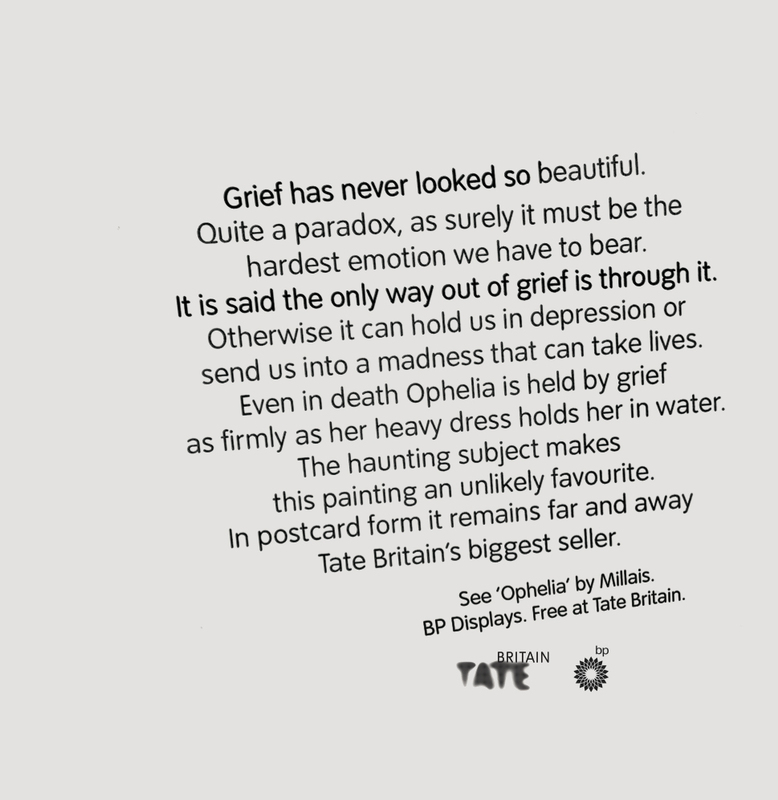 The final poster is about the beauty of grief, inspired by Millais’ Orphelia, Tate Britain’s most popular painting. This is Grey London’s first piece of work for the brand since it won the retained creative account in July. Its brief is to promote British art’s place in the public imagination. The ads will be shown in press, on the tube carriages and in underground stations. Nils Leonard, the chairman and chief creative officer at Grey London, said: "Art is moving, but not just because of its aesthetic. It’s the narrative behind the art that moves us the most." Leonard art directed the ads, which were written by Grey creatives Pete Gatley, Jonas Roth and Rasmus Smith-Bech. AKA is the media agency. The chief marketing officer of Tate, Rob Baker, said: "Our ambition in working with Grey London is to offer a broader audience new ‘ways in’ to the art we present at Tate Britain by creating cultural relevance. "This first campaign is a taste of the new approach we’ll be taking to unlock the power of art through our communications." 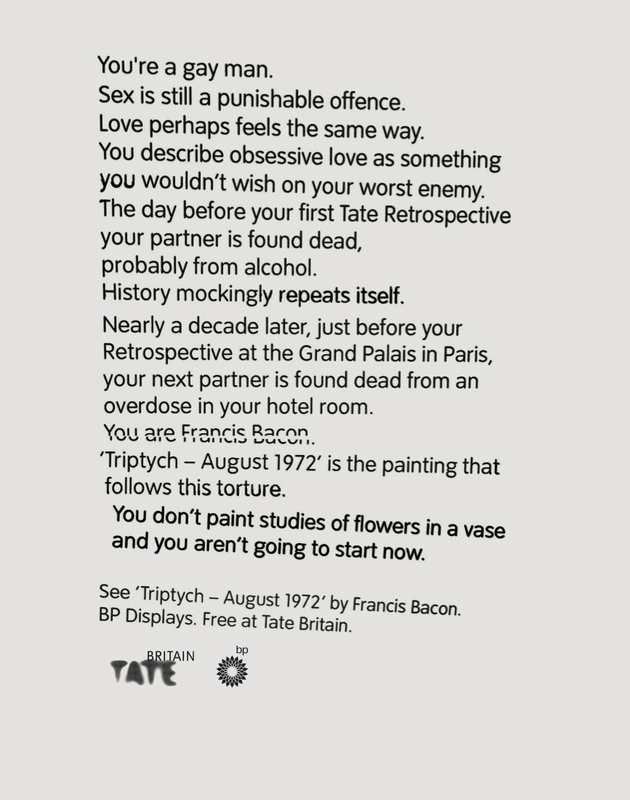 Postcards of the ads will be available to the public for free in Tate Britain from next week.